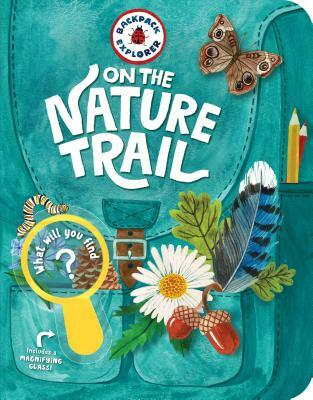 On the Nature Trail: What Will You Find? Storey Publishing, LLC, 9781612129013, 48pp. Jump-start curiosity with this take-along field guide for children ages 4 and up. From worms, birds, and spiders to trees, flowers, and clouds, young explorers learn what to look and listen for wherever they are — whether in a nature preserve, an urban park, or a suburban backyard. Seek-and-find lists, on-the-trail art projects, and discovery games get kids engaged in hands-on learning about nature, and a real pull-out magnifying glass helps them get a close-up glimpse of leaf veins, seed pods, and tiny insects. Filled with activities, checklists, and stickers, this interactive nature guide belongs in every kid’s backpack.